A mind-bending supernatural thriller from the creators of This Present Darkness and Saint. 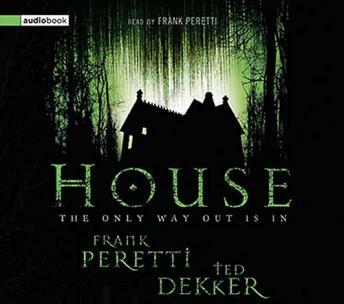 Frank Peretti and Ted Dekker—two of the most acclaimed writers of supernatural thrillers—have joined forces for the first time to craft a story unlike any you've ever read. Enter House—where you'll find yourself thrown into a killer's deadly game in which the only way to win is to lose . . . and the only way out is in. The stakes of the game become clear when a tin can is tossed into the house with rules scrawled on it. Rules that only a madman—or worse—could have written. Rules that make no sense yet must be followed. One game. Seven players. Three rules. Game ends at dawn.